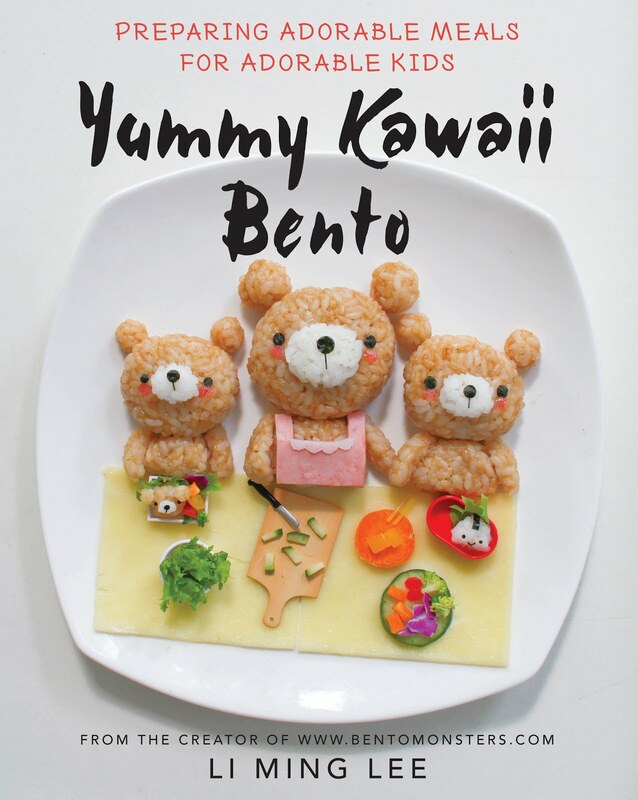 Bear is rice onigiri, which I moulded and pan fried by brushing on some soya sauce, till a crust is formed. This helps the rice to hold its shape in the soup. 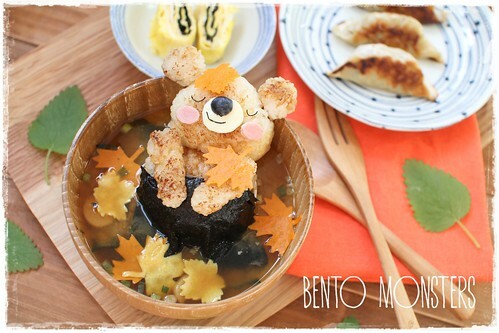 The bear is soaking in miso soup and is covered with a nori towel. Autumn leaves are cut out from egg sheet. I also cooked gyoza and nori tamago for this meal. I love the onsen!!!! super cute with the carrot leaves cut outs! 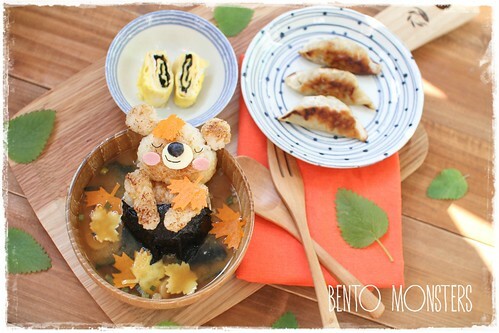 love the idea of the bear in an onsen, so creative! What a piece of art! I love the bear in the fall leaves. He's adorable! The leaf cutter sandwiches are really nice also....great photography as well. I like the addition of the real leaves. 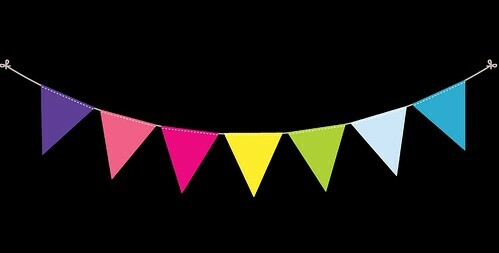 They add a nice pop of color to your scene! 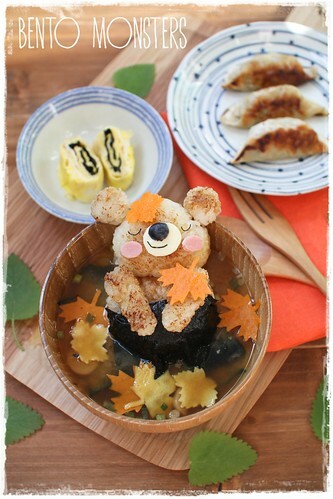 I love your autumn bear! He is adorable. Can you share what kind of tool you used to cut out the mini leaves? 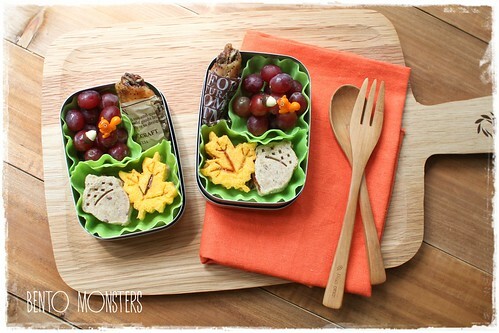 Looks so beautiful, I wanna make a bento for my daughter too. thanks. Your kids are very lucky. It's a veggie cutter, something like the ones I shared in the links at the end of the post.